Overall this was a great recipe, even one I'll make again. However, with only the small pinch of red pepper flakes I added, this teriyaki sauce was still quite spicy. I would not add the amount of cayenne the original recipe calls for. I might altogether skip the red pepper I subbed in as well, but I know it adds a certain quality so I'm unsure. Then again I haven't tried it with the cayenne so I may have to give that a try. I just know my family's taste buds. My husband did not agree with my assessment. He thought the chicken tasted funny. We all have different tastes, I guess! I even liked the chicken cold on a salad, so I say it's worth a try. Very flavorful! Let me know if you try it and if you like it in the comments below! Preheat oven to 375 degrees. 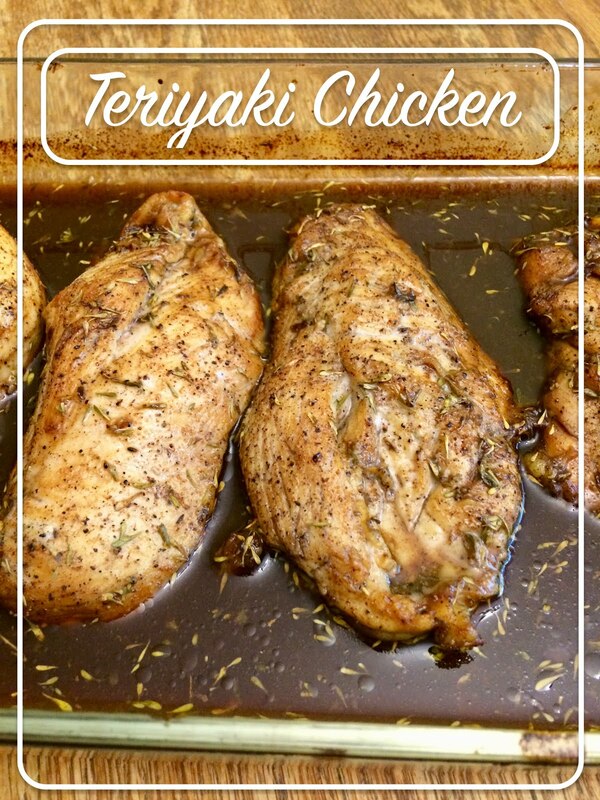 Combine all ingredients except chicken in a shallow baking dish. Mix well. Pierce both sides of chicken with fork (I forgot to do this!). Place chicken in baking dish and turn chicken over several times (I let it sit as my oven preheated and turned 3 or four times). Bake chicken for 30 minutes, basting several times. Serve over rice or chill to use in salads or wraps. 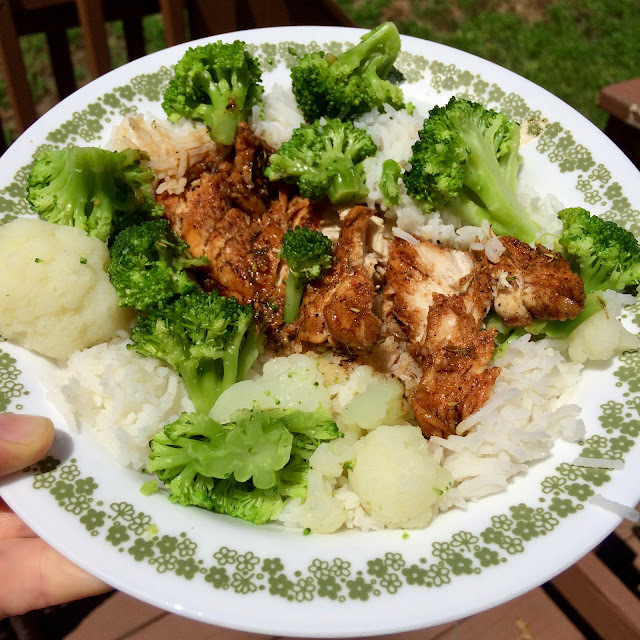 I served this teriyaki chicken with basmati rice and steamed cauliflower and broccoli.